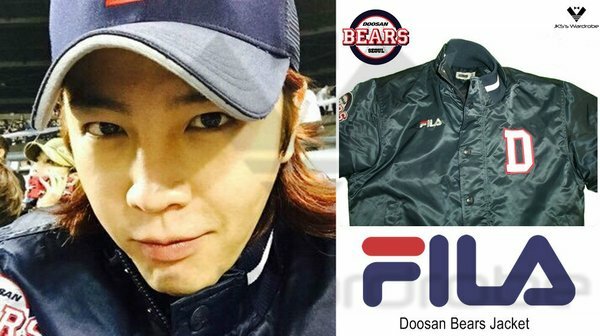 [JKS TWITTER] @AsiaPrince_JKS wears FILA Doosan Bears Jacket. JKS's love so obvious! YoonSuk fighting zikzin <3 let's go guys. I have read that were fanacc commenting that Jang keun suk went to watch the baseball game on October 21, that means that JKS was there when Yoona did her cool pitch for opening of doosan bears. woooooooooooow.probably, JKS was to support her and her favorite baseball team 'doosan bears'. JKS and YoonA so cute as always.